The first new TV series of this fall has been officially cancelled. This week, after dismal ratings and low viewership, ABC cancelled Wicked City after its third episode. The series premier suffered from bad ratings which have only dropped over the last couple of episodes. During the 10 o’clock Tuesday night slot, ABC plans to replace Wicked City with reruns of Shark Tank until further notice. The show is currently filming the eighth episode, but the network has not revealed what will happen to the remaining episodes and when they may air. Wicked City marks the first new series this fall to have its plug pulled. Ed Westwick (Gossip Girl) and Erika Christensen (Parenthood) starred in the now cancelled drama. Westwick and Christensen played two romantically involved serial killers terrorizing the Sunset Strip of L.A. in the 1980’s. The intent of the first season was to follow the revelry of the rock ‘n roll and drug scene during this time in the city of angels. The series was supposed to follow an American Horror Story model and reinvent itself each season with a new plot and characters. Too bad the series didn’t live long enough to kill more fictional characters. Jeremy Sisto (Law and Order, Suburgatory) and Gabriel Luna (Bernie, Matador) also starred in Wicked City as two LAPD detectives. It sounds like the 10 p.m. Tuesday night time slot might be the metaphorical chopping block for the ABC network. Last year, the series Forever aired at this time, and while the first season was moderately successful, the network chose not to renew it for a second season. The year before, Killer Women, Mind Games, and Lucky 7 each aired at the same time and all failed to gain a steady following. This season, networks have been waiting abnormally long before pulling the plug on struggling shows. ABC’s Blood & Oil, Fox’s Minority Report, and NBC’s The Player and Truth be Told have all not drawn in good reviews, but instead of cancelling them the networks have decided to keep them on the air until they run out of filmed episodes. This gives the shows a chance to improve their ratings before they are absolutely pulled from the air. 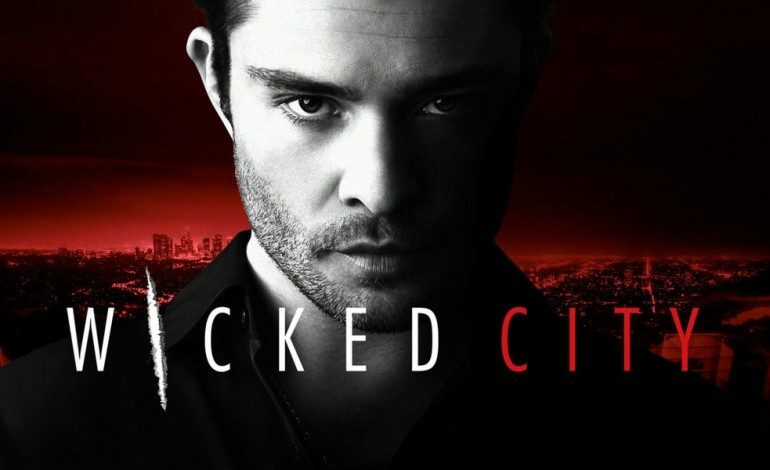 Unfortunately for Wicked City, ABC seems to have lost all faith in the murder mystery and is not giving it this same grace period.